At the launch were: John Daly, Dr Roberta McDonald, Prof Gerry Boyle, Tom O’Dwyer, Dr Padraig French and Pat Duffy. 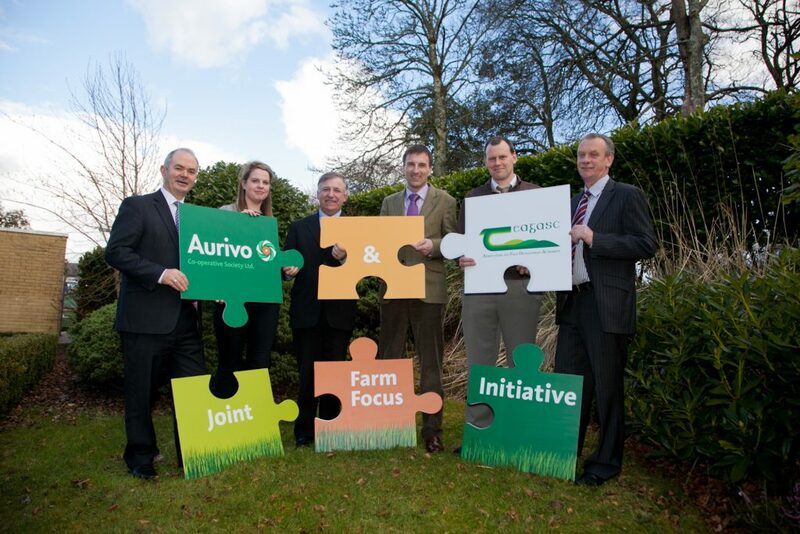 Aurivo Co-op and Teagasc have joined forces to launch a new joint Farm Focus initiative aimed at enhancing output and profitability of milk production on farms in the Aurivo region. The initiative will bring together the full resources of Teagasc and Aurivo in mounting an intensive and co-ordinated advisory programme on all aspects of efficient milk production for Aurivo’s milk suppliers. The initiative is being led by Dr Roberta McDonald, Farm Profitability Programme Manager with Aurivo. A key part of the programme will involve the establishment Focus Farms which will be used to demonstrate the application of proven research and to benchmark best practice on efficient milk production. The network of 34 discussion groups established in the region under previous Aurivo/Teagasc programmes will be continued. Around 35% of Aurivo suppliers are currently participants in discussion groups. An intensive effort will be undertaken to increase the number of participants through expanding numbers in existing groups and through the establishment of new groups. The Farm Focus initiative will also focus on encouraging and assisting new entrants to milk production and on providing targeted advice for farmers who are anxious to increase herd size and milk output. Speaking at the launch, Teagasc Director, Professor Gerry Boyle, said the new programme brings collaboration between Aurivo and Teagasc to a new level. He welcomed the fact that a key objective of the programme is to increase the usage of the Profit Monitor. “In the absence of a Profit Monitor, it is impossible for an adviser to give meaningful advice to a farmer,” he said. He also highlighted the inclusion of a land mobility project in the programme where the feasibility of share-farming and other land use options will be examined. 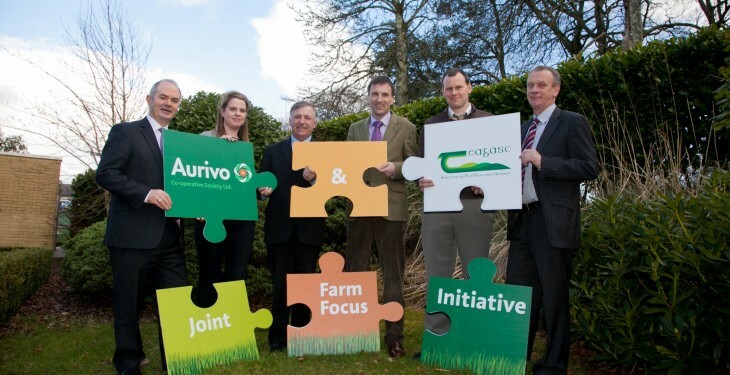 John Daly, General Manager Agribusiness with Aurivo, said the joint initiative will use all advisory and communications resources to ensure that farmers can avail of the most profitable technologies. He said the research carried out by Teagasc on its Ballyhaise dairy farm will be particularly relevant to the programme. “The key messages on breeding, fertility, grass dry matter and high milk solids output that have combined to give the Ballyhaise farm an average profit of €800/cow over the past three years are targets to which dairy farmers in the Aurivo region should aspire,” said John Daly.